This series of Voyager 2 pictures of Tethys shows its distinctive large crater, 400 kilometers (250 miles) in diameter, as it rotates toward the termination and limb of this satellite of Saturn. 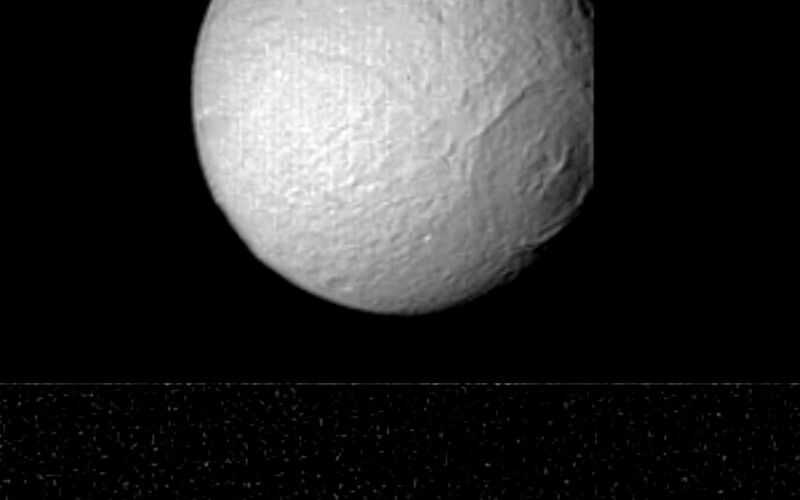 These images were obtained at four-hour intervals beginning late Aug. 24 and ending early the next day; the distances were 1.1 million km. (670,000 mi. ), 826,000 km. (510,000 mi.) and 680,000 km. (420,000 mi. ), respectively. The crater, the remnant of a large impact, has a central peak and several concentric rings. Some grooves radiating from the center may be formed of material thrown from the crater during the impact. 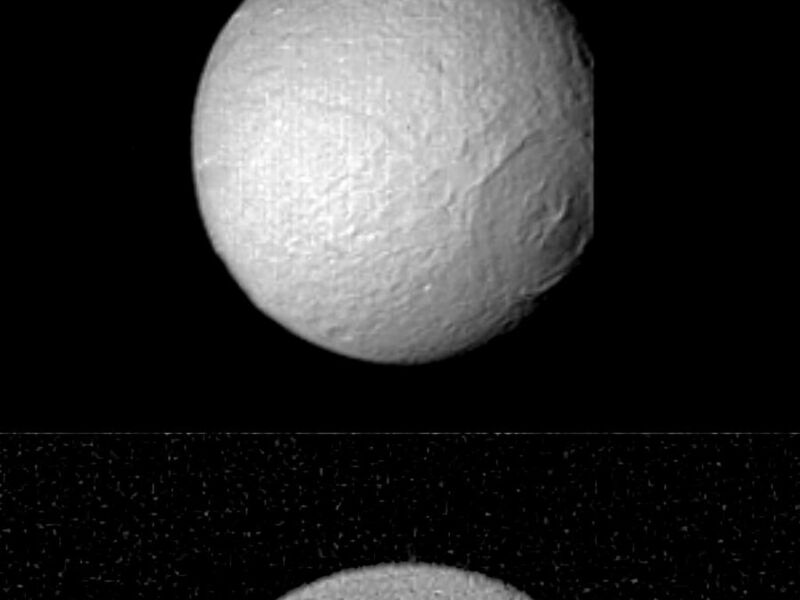 The bottom frame, with the crater in profile, reveals that its floor has risen back to the spherical shape of the satellite, unlike the large crater seen on Tethys sister moon Mimas. The Voyager project is managed for NASA by the Jet Propulsion Laboratory, Pasadena, Calif.